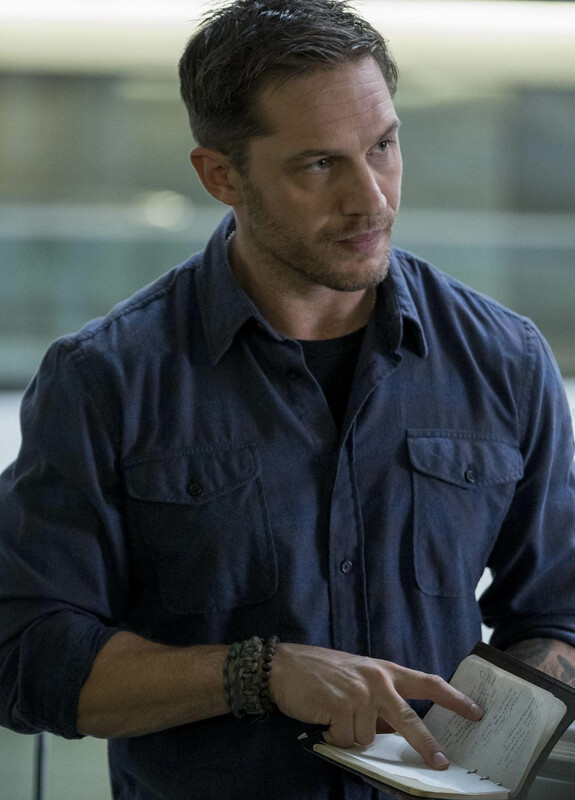 Remember that first look at Tom Hardy in upcoming comic flick Venom that did the rounds yesterday? It wasn’t so mundane after all. Not if you look closer. A microscopic inspection reveals a few plot details. I had a bit of fun with it, you know. Just a little bit of #banter cause let’s admit it: at face value, especially if you’re not too glued up on Venom – let alone Eddie Brock – the image doesn’t give a lot away nor does it entice you. Boy was I wrong. 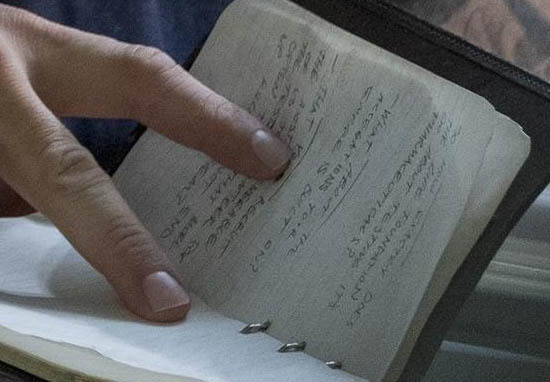 Someone has gone and found out what is written on journo Brock’s notepad. So how exactly does the Life Foundation go about testing its pharmaceuticals? What about the allegations your empire is built on? That you recruit the most vulnerable of us to volunteer for the testing that more often than not end up […] them? So he’s interviewing someone from the Life Foundation, a shady group convinced the world will end in a nuclear war, so they start planning a new society for their wealthy clients. They also create five symbiotes (Scream, Phage, Riot, Lasher, and Agony) that Venom eventually has to fight (in Planet of the Symbiotes) with assistance from Spider-Man and Scarlet Spider. Presumably he’s interviewing Riz Ahmed’s character, who was previously rumored to be Carnage but has more recently been rumored to be Life Foundation boss Dr. Carlton Drake, although we wouldn’t be shocked if they simplified the storyline by having Drake become a symbiote as the main villain. This all lines up with what we knew about which Venom comics the movie is based on: Lethal Protector and the aforementioned Planet of the Symbiotes. A lot has been said for the decision to cast Tom Hardy as Venom. 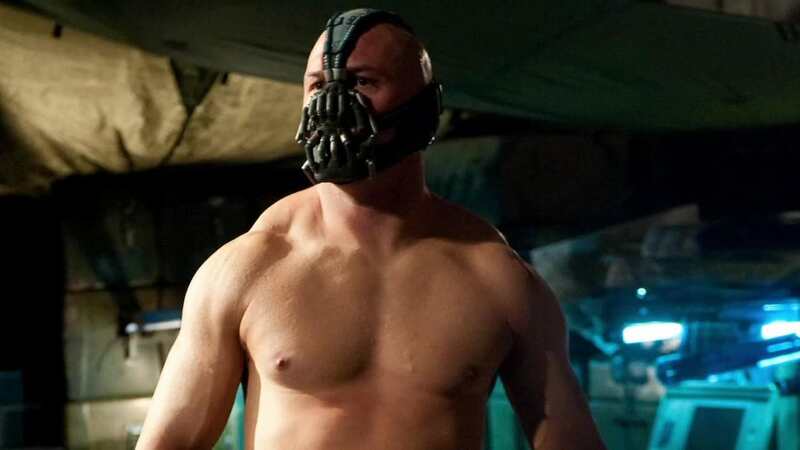 It will mark his first venture into comic-book adaptations since playing Bane in Christopher Nolan’s The Dark Knight Rises. It’ll be interesting. I’ve seen some movies of his where he can bring anger and a wide personality to it. To me, I think Tom Hardy’s going to be as good as whatever Venom looks like. We all know Tom’s going to act. He’s going to do a good job. So now what’s Venom gonna’ look like? It’s an R-rated movie, how ‘R’ are they going to go? To me, that’s the question. Are they going to go a ‘little bit R’? Venom’s a monster to me, and to me – are they going to make him a monster or are they going to make him a man? Are they going to humanize him? That’s what we gotta’ find out. I’m not gonna lie to you fellas, Venom isn’t my strong suit. But you can bet I’m excited to see it hit cinemas come October 5.